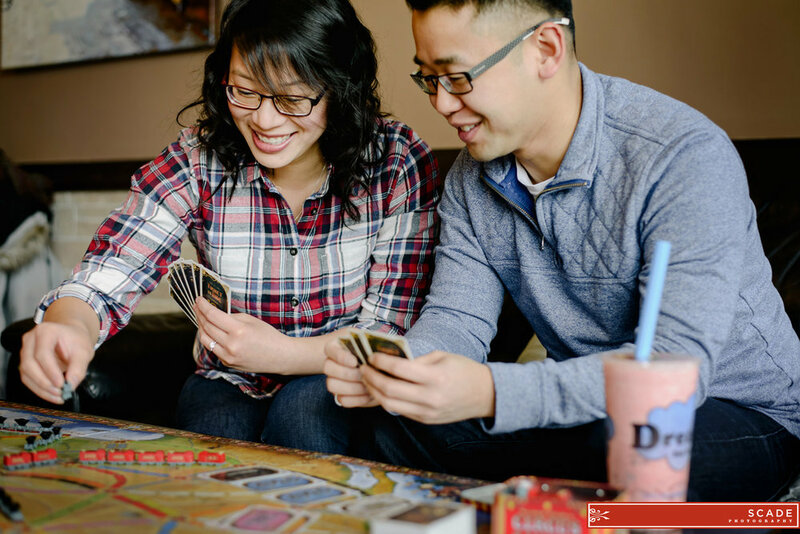 We started out at Dream Tea House where they like to frequent and took some pictures of them playing Ticket to Ride! It's always fun to incorporate personal touches throughout a photo session. They're big fans of the board game and even had the special Anniversary addition board with proper tiny train pieces. Next, we headed to Hawrelak park for some beautiful snowy pictures and we dragged them through the river valley paths as the sun started to come down. They had a gorgeous blanket to cuddle up with as well. 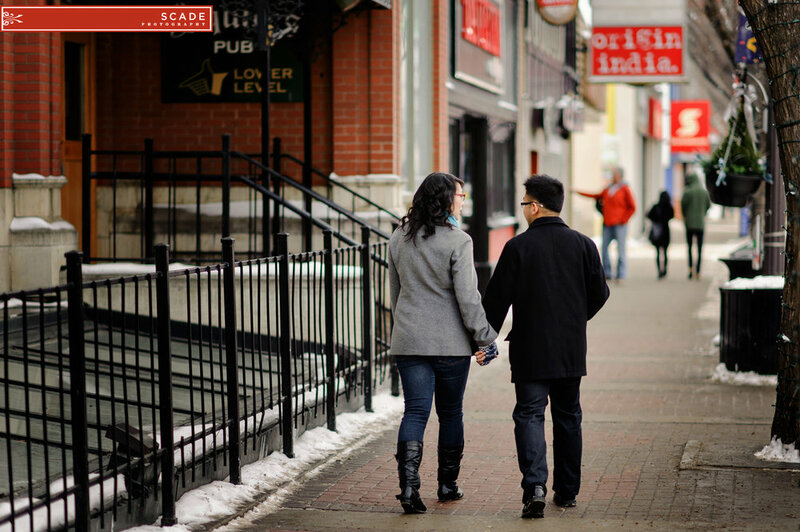 Engagement sessions are such a great way for us to get to know our wedding couples better and I leave even more excited for the opportunity to photograph their weddings!